Why reformatting will not destroy your data. Reformatting may seem like the best way to erase your private data, but it isn’t. It is fast, and it does seem to make your old data disappear if you try to find it again. The problem is, your old data is still recoverable. The process of reformatting your electronic media, like hard drives and flash drive, is nothing more than erasing the current file structure of everything on your disk and replacing it with with a new one. Think of it like this: You have a file cabinet and all of your information is stored away in the correct files. Imagine if you just dumped all your info out of the files and back into the cabinet and put your empty files back on top, ready to be filled again. If you went looking for your old info in the new files, you wouldn’t find it because it is scattered about elsewhere in the cabinet. Obviously, this is a simplistic way to look at it, but you should get the idea. The information still exists, it is just harder to find. The same is true of your hard drive. Don’t expect your information to be erased when you reformat your hard drive. There are programs that exist to recover reformatted data. In order to permanently erase your data, you need to overwrite it or destroy it. There are different levels of overwriting your data. Sensible Recycling uses the latest methods of ATA Secure Erase and DoD 5220.22-m methods. We do this by using multi-bay wiping stations. Data is stored in binary code, which is a series of 1’s and 0’s. When your drive is wiped by Sensible Recycling, all of your data rewritten with new 1’s and 0’s, sometimes multiple times. After this process, your data is completely unrecoverable. A simple dive format can not offer you this kind of data protection. 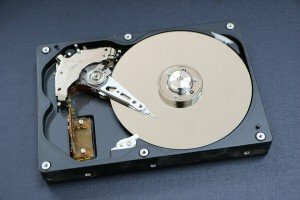 We can also physically destroy your hard drives, adding an extra layer of protection if you choose. Remember, all of our services are free of charge. So next time you are getting rid of your old computers, make the sensible choice and call Sensible Recycling to destroy your electronic data.